This one's seen some hard use, but it's not the one you saw in A New Hope. 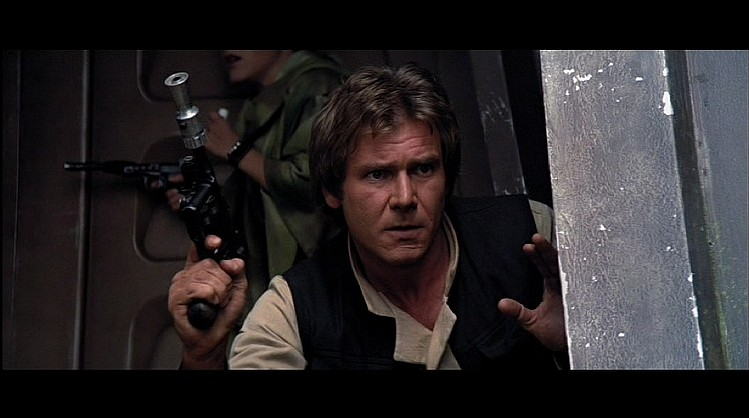 Let's just get one thing out of the way right now: Han shot first. 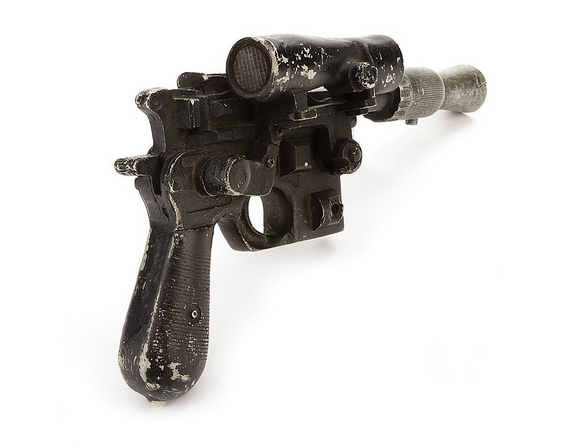 If you want to prove that, buying Solo's iconic blaster - due to come up for auction December 21st - won't help. 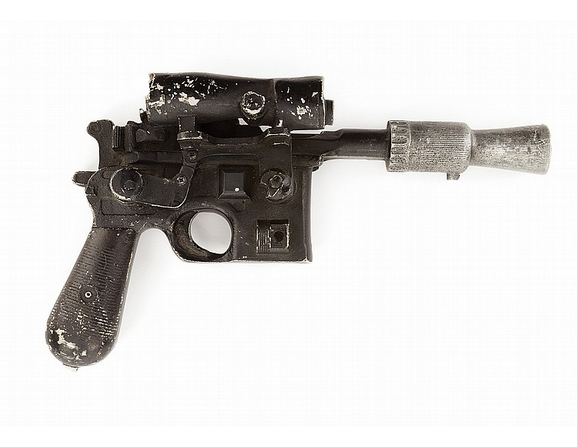 Though this weapon has seen plenty of action in its day, it isn't the one seen in Star Wars: A New Hope, as that blaster is thought to have been destroyed during filming. This is the one used in The Empire Strikes Back and Return of the Jedi, but if you want it, you'd better have deep pockets, as its estimated price is $200,000 - $300,000. 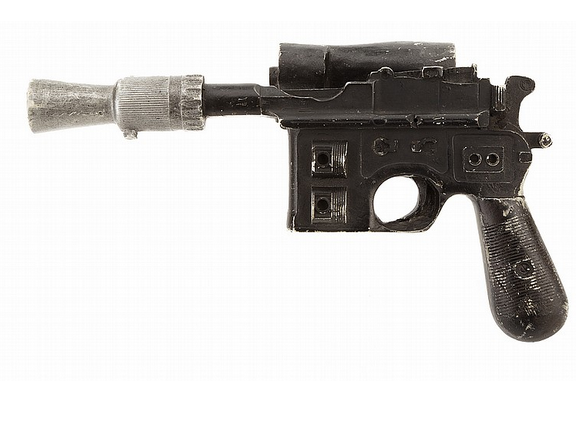 It's not just Solo's blaster, claims the auctioneer, as it was likely also used by Luke in Empire Strikes Back. This resin replica was modeled faithfully after the original weapon, and even has the same serial number. It's in its original filming condition, hence the wear and tear. Star Wars' DL-44 Heavy Blaster was modeled after the German Mauser C96 pistol, first developed way back in 1896. The Star Wars version lacks the original's detachable stock, and has a rifle scope, but otherwise it's pretty much the same as the iconic Broomhandle. Fancy a look at what else the auction has to offer? Perhaps you want to know how much Frodo's Sting or an original Metropolis poster goes for these days? Take a look at the auction catalogue.